Referring to U.S. support for the terrorist Kurdistan Workers’ Party (PKK)’s Syrian offshoot, the PYD, Çavuşoğlu said, “Civilians in Afrin are happy, why is the U.S. uncomfortable? 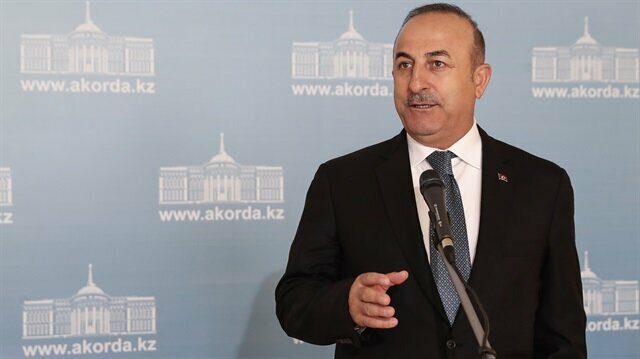 Turkish Foreign Minister Mevlüt Çavuşoğlu on Tuesday blasted the latest statement by U.S. Secretary of State in which Washington expressed its “deep concern” for the situation in Syria’s Afrin following the success of Turkey’s Operation Olive Branch. The U.S has supplied the PKK/PYD terror organization with more than 5,000 truckloads of weapons to allegedly use in the fight against Daesh, despite Ankara’s warnings that the group is the Syrian offshoot of the PKK terror organization.